Are you feeling stale and tired? Lacking clarity and connected thinking? Want a confidence boost and the chance to learn new skills? Or do you just need some time for yourself? 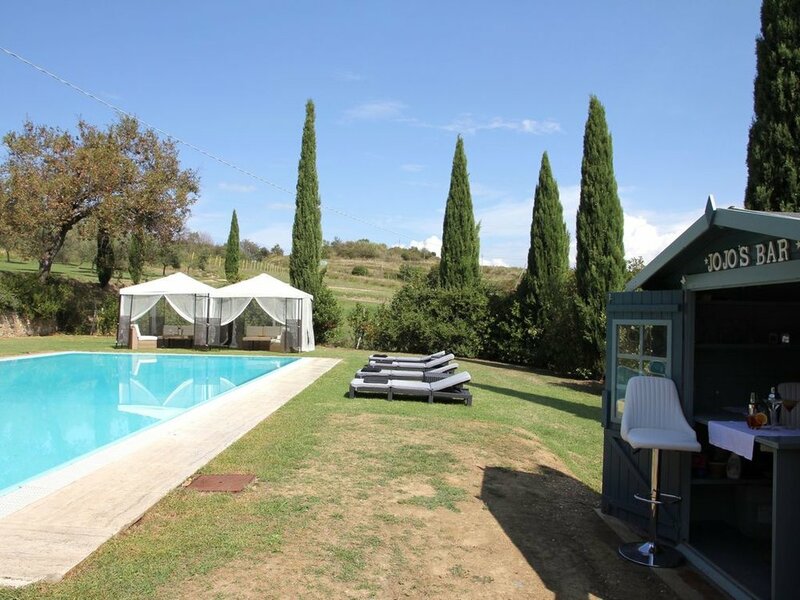 Clear your mind, flex your body and empower your creativity in the security of this beautiful and secluded estate in the Tuscan hills. This very special retreat will nurture and stretch you, reawakening you to new patterns of movement & thought, and helping you develop new skills across many disciplines. Explore Pilates, Garuda and meditation; speech, song and stage work; drawing, painting and creative writing. You don’t need experience - just an open mind and a willingness to have a go. Our expert teachers are here to support and inspire. Owned by an English cinematographer and his painter wife, Podere della Volpe Rossa is a large farmhouse set in its own grounds of 150 acres or gardens, olive groves, vineyards, orchard and forest, 1km from the medieval town of Chianni, Tuscany. There is an 18x9 meter swimming pool, a private waterfall and natural pool in the forest. The grounds back directly onto the Santa Luce nature reserve, with its 100 km of walking and mountain biking tracks. With stunning interiors, a private 16 seat cinema, pool bar and pizza oven, the house offers luxury accommodation and facilities. The house has five bedrooms and four bathrooms (all air-conditioned) and high-speed internet throughout. Meals are freshly cooked using local produce and our own olive oil. Movie and pizza nights, plus excursions to local places of interest are included. Free your movement for a healthier functioning body. Find new ways to feel amazing and relax? Let your body flow. Feel energised, supple and youthful. Garuda creates - it is flexibility, it is strength, it is beauty in movement. It is flow, release, joy and grace. It feels amazing. Explore the possibilities, Be curious in your body and your mind as movement is a celebration of life. Sue’s classes are designed to enable you to move with ease and improve your performance so there is something for everyone – no matter what your ability or reasons for taking part. Sue’s vision is to give you a safe and happy space to learn and understand your body, so you can function and move better and live your life in your mind and body with ease, peace and joy. Join us for a stress-busting guided meditations, roam the extensive 140 hectare grounds, lounge by the pool, laze in the hammock or swim in the waterfall…. 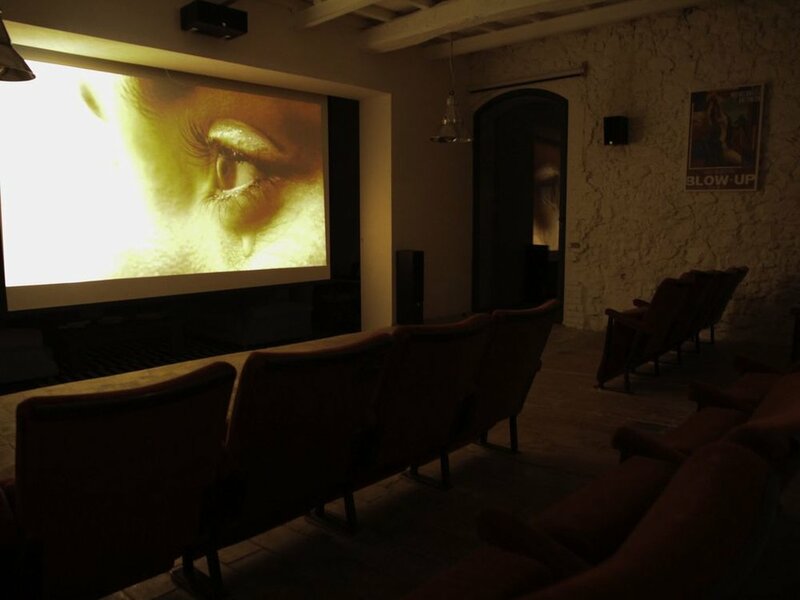 Chill with new friends, explore the hill towns of Tuscany, watch movies in our private cinema and enjoy a glass of wine or two…. Feel the sun on your skin, the warm breeze, smell the scents of cypress and olive and dine on locally produced foods and home-cooked meals. Enjoy seven days of pure bliss. Can you communicate with confidence? Clara has spent 30 years working with actors and singers and has a deep and ever-growing understanding of the science behind vocal production. As both a professional actor and musician, she loves to work across genres to tell a story, empowering students to find and use their natural voices more effectively. Whether you want to speak more effectively, increase your presence so you can hold a room, or explore your potential through dialogue or harmony, Clara will give you the tools you need. During the week we will learn to use the voice more efficiently both in spoken word and singing, using dramatic texts and choral songs. Should you wish to, you will also have the opportunity to write and perform your own original material. Visit to the largest Tibetan Buddhist monastery in Europe. One of the few universal forms of communication, art not only goes beyond cultural, linguistic barriers but it can evoke something indescribable as well as representational. It can be magical but this magic can be instructed. Joanna believes that an understanding of both expression, as well as the tricks of technique in representation, are within the grasp of everyone - yet are so rarely offered to them. Whether you feel you have little talent or are an experienced artist, by the end of the week you will have greater confidence in your ability and deepen your artistic perception.